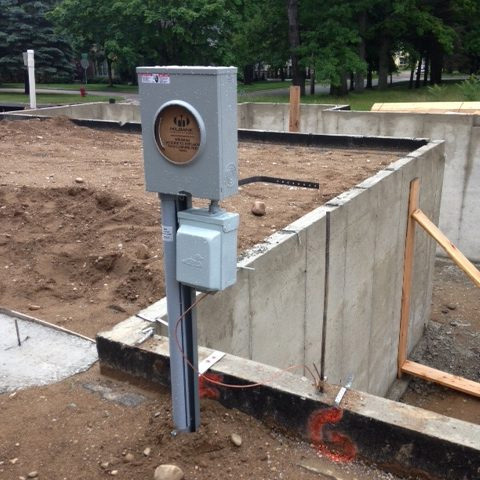 B&B Electrical’s Pre Construction Meter Mount (PCM) is approved for use in the DTE service area. Both 200 amp and 400 amp models are available. A valuable investment for home builders, the pre construction meter mount (PCM) eliminates generator use. The PCM provides underground electrical service during the early construction phase of home building. It can be installed before rough framing and after the foundation is completed and back-filled. Our PCM’s are approved for DTE installations with schedule 80 PVC. Manufactured for 200 or 400 amp service. PCM’s are available at electrical distributors around the Metro area. Contact us for distributor info.